Patricia Pavlak, President of the NJLTA, gives opening remarks. 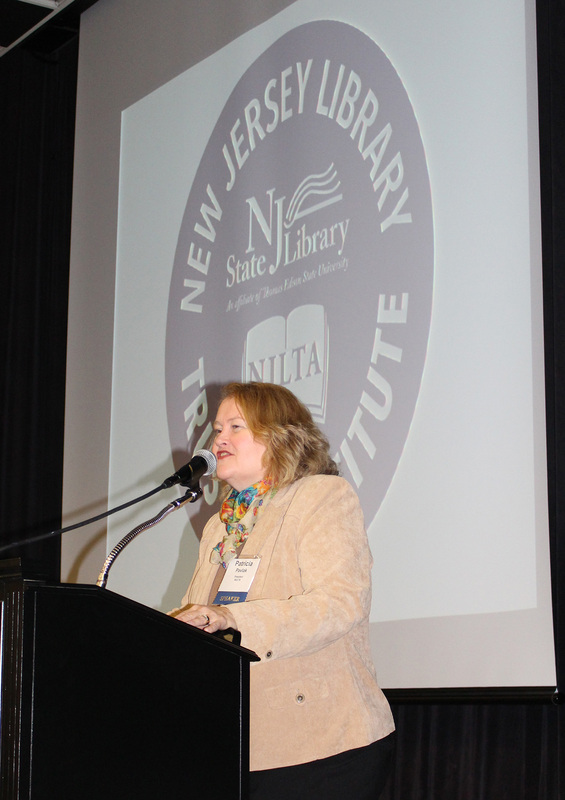 Over 200 library trustees, administrators and directors from across New Jersey came together on a windswept rainy day at the National Conference Center at the Holiday Inn of East Windsor on Saturday, Oct. 27, for the biennial New Jersey Library Trustee Institute. From left: Mary Chute, NJ State Librarian, Diana Brown, Community Services Manager of New Castle County, Annie Norman, State Librarian and Director of the Delaware Division of Libraries. 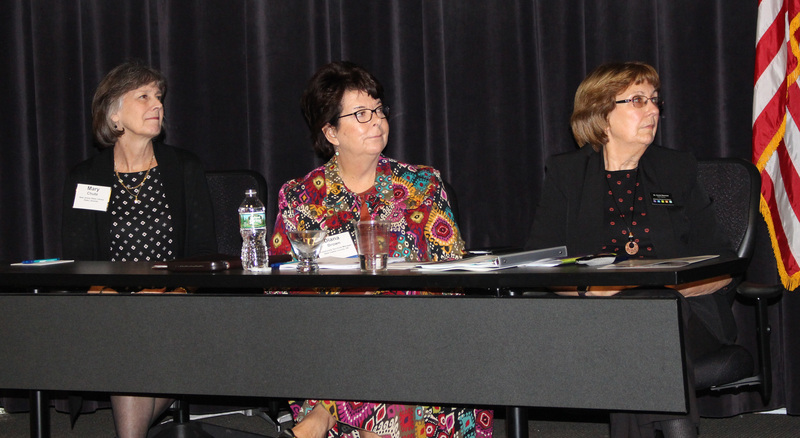 The topic of this 11th edition of the Institute was “Planning for Innovation” and featured a keynote presentation by Annie Norman, State Librarian and Director of the Delaware Division of Libraries, and Diana Brown, Community Services Manager of New Castle County. They discussed the importance of the master planning process for library capital projects and how it has facilitated state funding of libraries in Delaware. They also discussed the benefits of working collaboratively across local government jurisdictions, highlighting Delaware’s newest library, the 43,000 sq. ft. RT9 Library and Innovation Center, which was built to provide services and inspire engagement in a community long considered to be underserved. The plenary session on “Library and Local Government Law – A Primer” was given by Michael Cerone, Esq. His presentation reviewed various aspects of library law including organization, powers and funding, as well as the confidentiality of library records. He also reviewed Open Public Meetings Act, Local Public Contracts Law, Open Public Records Act, Civil Service and FMLA. 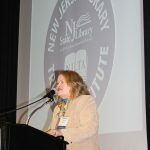 The Institute was hosted by the NJ State Library and the NJ Library Trustee Association.